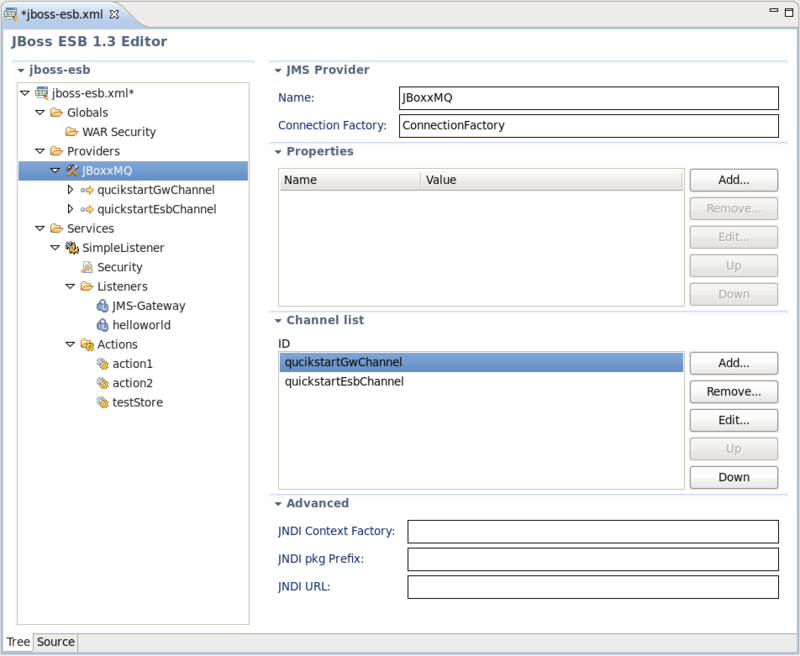 The JBoss ESB editor has two views: Tree and Source. You can easily switch from the Tree view to the Source view by selecting the Source tab at the bottom of the editor and work in Source view, and vice-versa. Both views have full integration with the Outline view. The Outline view shows a tree structure of the ESB file. Select any element in the Outline view and it will jump to the same place in the Tree/Source editor, so you can navigate through the source code with Outline view. Both views are synchronized with each other, so any changes made in one of the views will immediately appear in the other. The Tree view for the editor displays all ESB artifacts in a tree format. 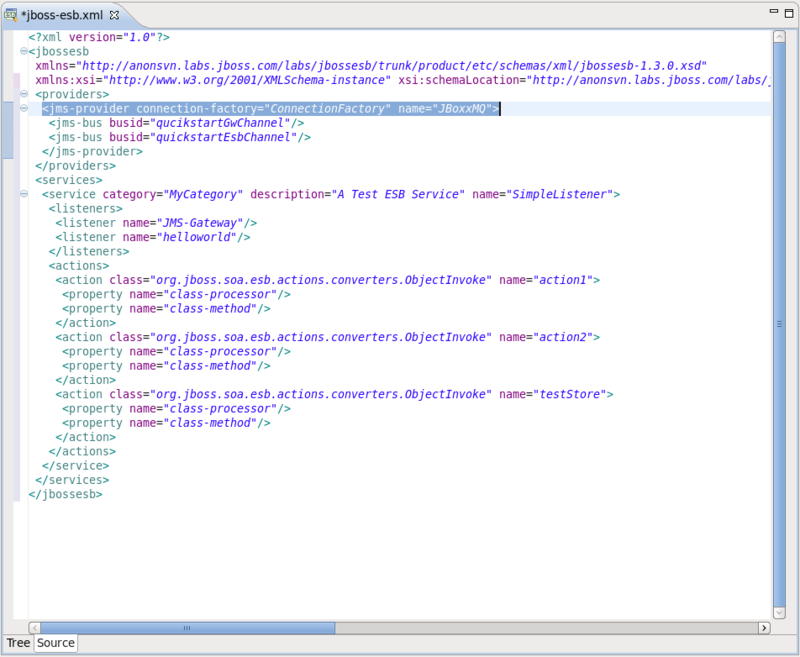 By selecting any node you can view and edit its properties which will appear on the right. Some properties are represented as links to the associated editors. When editing ESB actions which refer to other files (Drools, Groovy, Smooks, etc. ), the label for the field turns into a link to launch the appropriate editor for that file. Adding, editing or deleting of some artifacts operations are available right in the Tree view. Right-click any node and select one of the available actions in the context menu. You can add Channels and Properties for the Providers the same way or using the forms with Add, Edit and Remove buttons to the right. Additionally, you can add a Service and a new listener for it. Filters can also be added this way.